Farley Granger and Cathy O’Donnell memorably played young lovers on the run in director Nicholas Ray’s debut film, They Live by Night (1948). 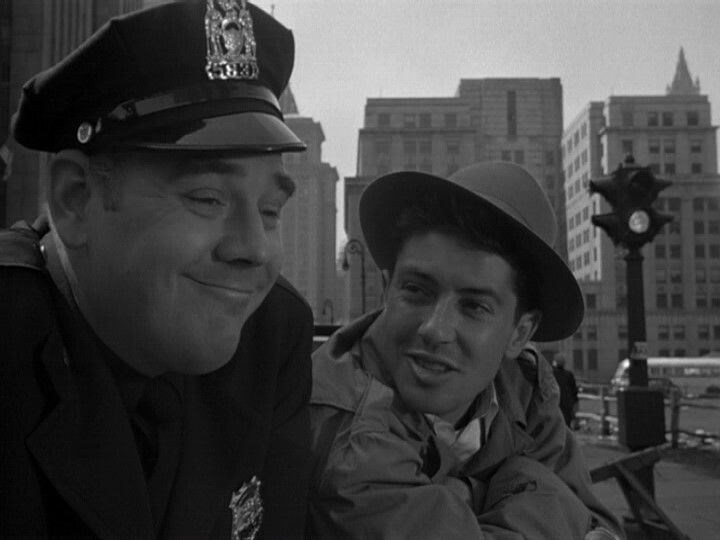 They were reunited in Side Street, a twisty little crime caper directed by the great Anthony Mann. Side Street isn’t a grand tragedy on the level of They Live by Night. O’Donnell’s role is much smaller and she and Granger play a quietly happy young married couple, not archetypal tragic lovers. But it’s definitely worth seeing. It’s a great crime movie with memorable characters and a lot of wonderful footage of New York City. 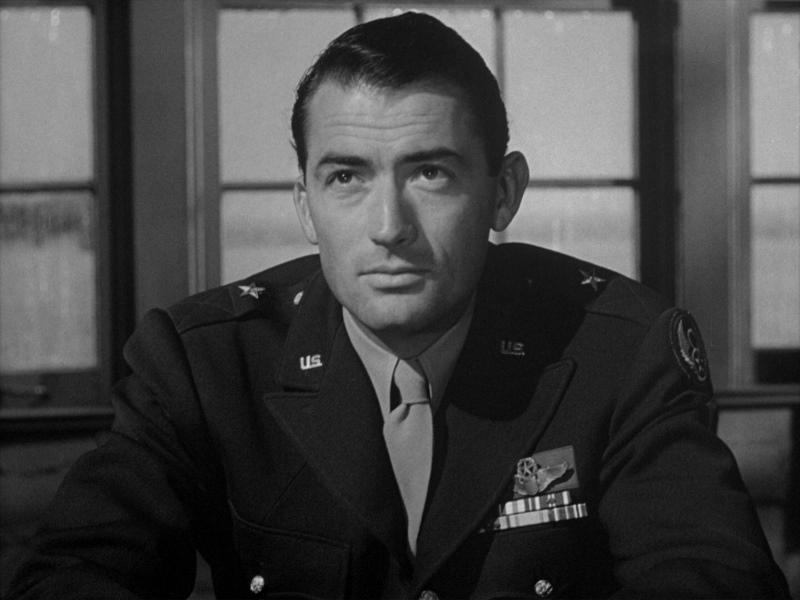 It’s also the last in a string of tough, violent, and exceedingly well-made film noirs from Mann, who previously directed Desperate (1947), T-Men (1947), Raw Deal (1948), and Border Incident (1949), among others. After Side Street, Mann would go on to tackle a variety of genres, although in 1950 he exclusively made westerns — Winchester ’73, The Furies, and Devil’s Doorway. I always have more movies on my “to watch” list than I can realistically make time for, and I almost passed over Side Street. 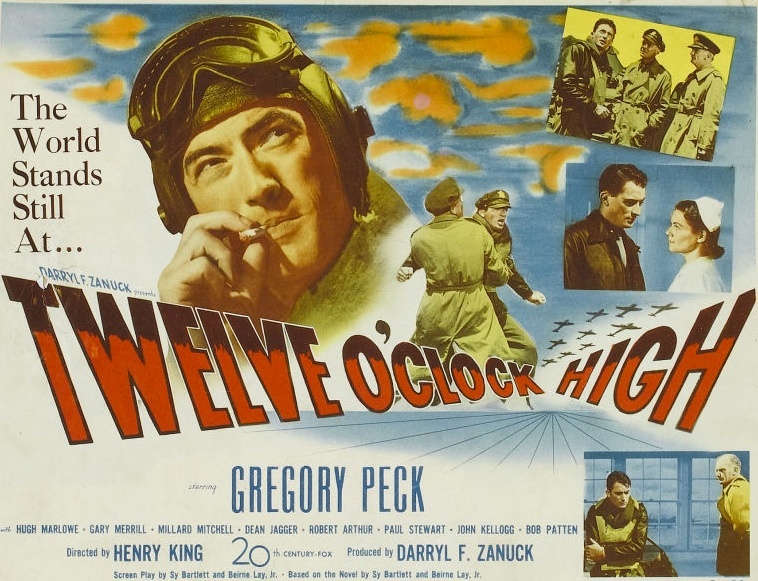 But then I looked it up and saw that it was directed by Anthony Mann, and I had to watch it. 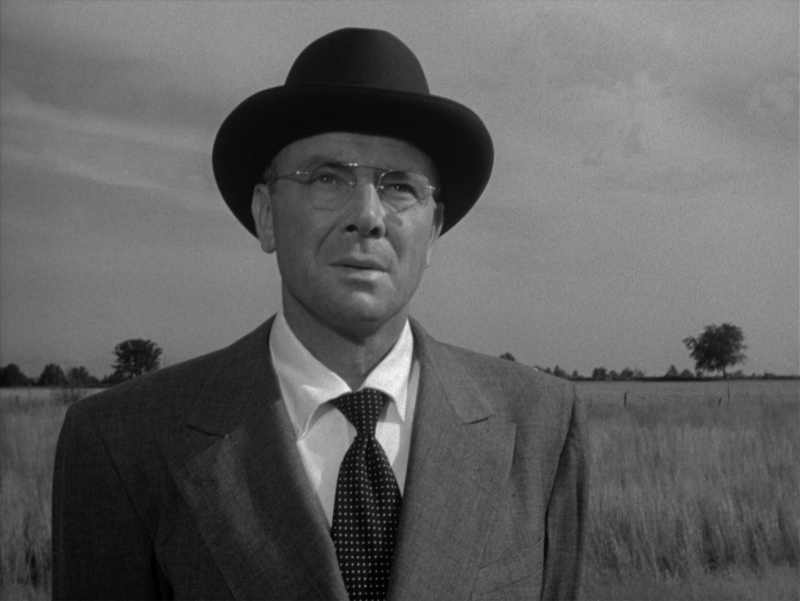 I love Mann’s sensibility, and his films are always really well-paced and full of suspense. Side Street is no exception, and if it doesn’t have the stature of some of his other noirs, it’s just because they’re so good that his “lesser” works sometimes get lost in the shuffle. Mann did some of his best-known work with cinematographer John Alton, but Joseph Ruttenberg, who shot Side Street, was also extremely talented, and he has a lot of high-profile classics on his résumé, like The Philadelphia Story (1940), Mrs. Miniver (1942), and Gaslight (1944). Side Street looks absolutely fantastic. The interiors live and breathe with complicated interplays of light and shadows. 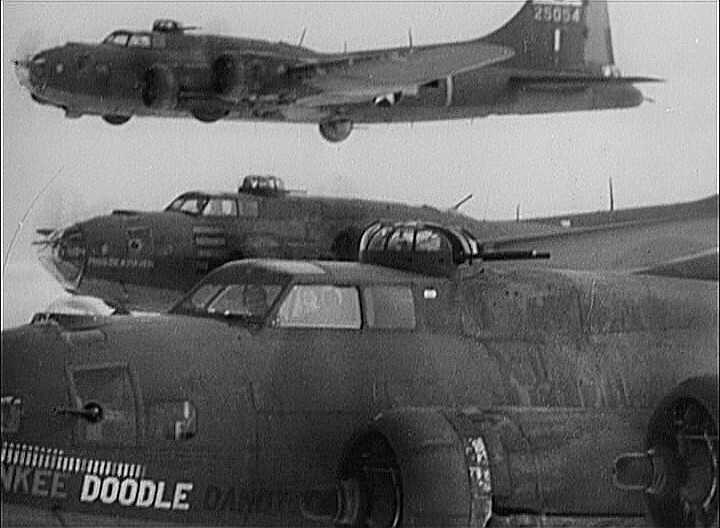 The exteriors are mostly shot on location in New York. Not only does Ruttenberg’s exterior shooting look great, it’s a chance to see a great deal of the city as it existed in 1949, including things that are gone now, like the elevated train tracks in Manhattan. The story and screenplay of Side Street were written by Sydney Boehm. It’s a relatively simple story about a mailman named Joe Norson (Farley Granger) who sees an opportunity to pilfer a large sum of money and takes it. His wife, Ellen Norson (Cathy O’Donnell) is pregnant with their first child, and he thinks a lump sum of cash is their ticket to the good life. Of course, the person he steals money from is a crooked lawyer with his fingers in the underworld, and Joe’s life quickly spirals out of control as he is hunted by extremely dangerous people while lying to his wife about where he got the money. All the actors are great, and their characters seem like real people; Edmon Ryan as the shady lawyer, James Craig as his brutal enforcer, Charles McGraw and Paul Kelly as NYPD detectives, and Adele Jergens as a seductress who is part of a honey-pot blackmail scheme. 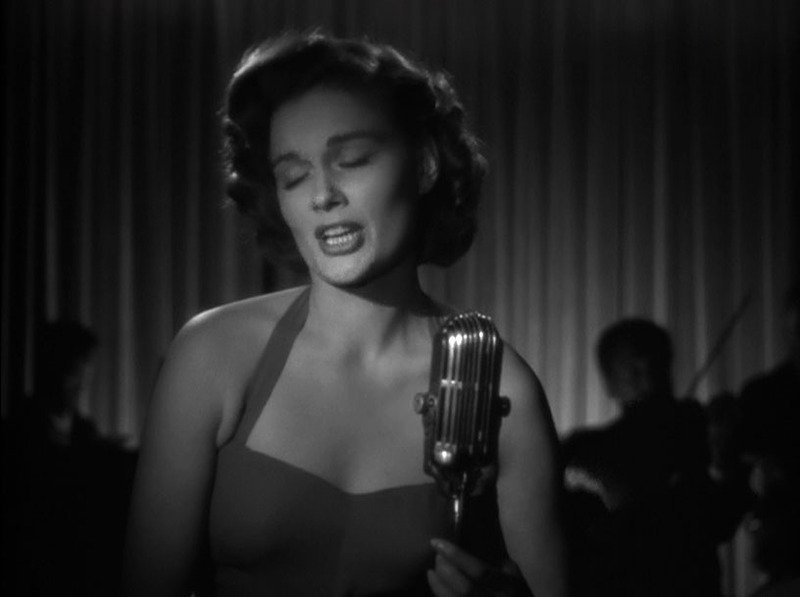 I liked all the actors, but my absolute favorite was Jean Hagen (recently seen in Adam’s Rib), who plays a cynical nightclub singer and B-girl. Her scene with Farley Granger involves him buying drinks to get information out of her, and she delivers her digressive dialogue perfectly as she very convincingly portrays slowly building intoxication. Like Gloria Grahame in Crossfire (1947), she expresses a lifetime of experience, most of it bad. Everything about Side Street holds up well, and I recommend it to anyone who’s looking for a twisty thriller. Aside from the black and white cinematography, the only thing that might rankle modern viewers is Paul Kelly’s intrusive voiceover, but that was a pretty standard feature of police dramas in the late 1940s. 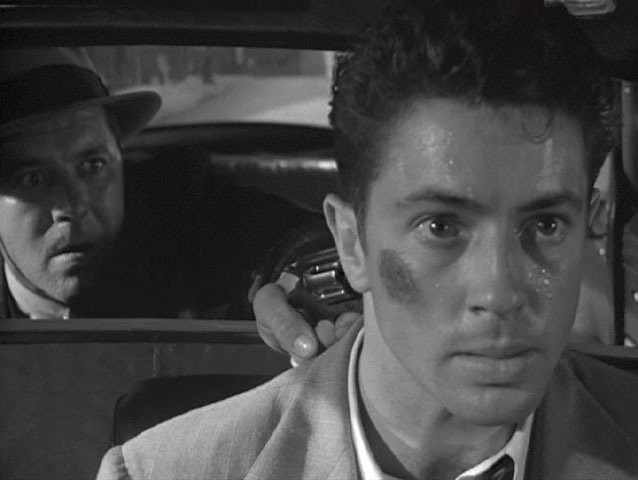 I especially liked that Farley Granger’s character wasn’t an innocent victim of circumstance. He makes a very clear decision to break the law, but it’s the kind of crime of opportunity most of us have probably considered at least once in our lives. What would happen if we walked into an empty, unlocked house and poked around? What would happen if we took a joyride in an unattended car with the motor running? What would happen if we swiped an envelope we know is full of cash? Side Street presents a worst-case-scenario answer to that question in a way that’s labyrinthine but fairly believable. Highly recommended. Posted in 1949, December 1949 and tagged Adele Jergens, Anthony Mann, Cathy O'Donnell, Charles McGraw, Edmon Ryan, Farley Granger, Film Noir, James Craig, Jean Hagen, Metro-Goldwyn-Mayer, Paul Kelly, Side Street, Sydney Boehm. Bookmark the permalink.